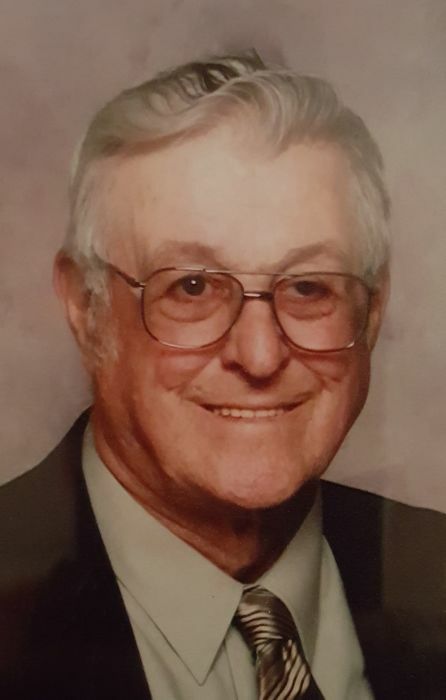 Robert L. Morrison, 79, of Plainview, IL, died at St. John's Hospital, Springfield, IL on Sunday, April 7, 2019 at 2:47 am. He was born December 2, 1939, in Carlinville, IL to Harold A. Morrison & Norine (Weidner) Lind. He married Judith C. (Estes) Morrison on April 21, 1962 in Forest Home, IL. He was a farmer as well as owner/operator of Morrison Trucking. Robert was a member of the US Army Reserves for 2 years. He was a graduate of the Southwestern High School Class of 1958. He was a member of the Assembly of God Church of Forest Home, IL and Masonic Lodge of Plainview, IL. He enjoyed Case tractors and loved his cats. He is survived by his spouse, Judith Morrison of Plainview, IL, children, Robert A. Morrison of Plainview, IL, Jonathan E. (Joanna) Morrison of Tolono, IL, Greta E. Morrison (companion, Johnny) of Plainview, IL, and grandchild, Amelia L. Morrison. Robert was preceded in death by his parents. Friends may call on Friday, April 12, 2019 at Kravanya Funeral Home, Gillespie, IL from 4:00 pm until 8:00 pm. Funeral services are Saturday, April 13, 2019 at 11:00 AM at Kravanya Funeral Home, Gillespie, IL. Burial will be at Morrison Cemetery. Memorials are suggested to First Assembly of God Church, East Alton, IL . Anyone wishing to send an online condolence may do so at www.kravanyafuneral.com. Kravanya Funeral Home, Gillespie, IL is in charge of the arrangements.